Nothing: Peace be with you! You know how everything becomes uncontrollably funny when you are not supposed to laugh? Today is Ash Wednesday. We made it to church just about when the second reading was getting over. The church was completely full except for the second pew. Normally, we would not prefer the second row, but since we had no choice we placed ourselves there. There was a small girl sitting in the first row who, much to her mother's chagrin, was imitating everything the Father did. It started off as an innocent smile looking at her, when I suddenly remembered my friend telling me about a Father she knew who is really passionate about offering Mass. So much so, that when he says the word Peace, he says it with such ardor ending up stressing the P and the S making it sound like Piss. That's it! It just started. I was snorting, sniffing and snuffling all through the rest of the Mass. Do you have any idea, how many times the word Piss, oops I mean Peace, is used in the Mass? Priest: I leave you Peace, my Peace I give you. All: Glory to God in the highest, and Peace to his people on earth. Deacon or Priest: The Mass is ended, go in Peace. Hey, it also gives a whole new meaning to "Piss Off!" LOL - Din't think of that! 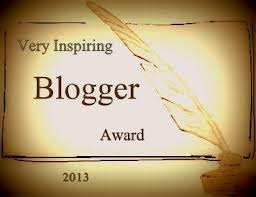 Well I am here to inform you that I have nominated your amazing blog for the VERY INSPIRING BLOGGER AWARD. Happy Bromantic Valentine, Weird Guy! btw are you in Iceland yet? Now you have just ruined me for Church! How will I keep a straight face? Love it! I remember when I took my communion preparation classes at 8 years old being given a sugared almond and told that God was the nut .... to this day I am still sure I must have misinterpreted this message somehow! LOL, I am still laughing! oh Kate, I don't think I can look at almonds the same way again. Ever! Nice to meet you Nina, and your post has made me laugh so much I have a sore stomach. This is a great compliment by the way!! Disclaimer : The author of this blog cannot be held responsible for sore stomachs. Laugh at your own risk! Yikes!!! I have been there and could not stop laughing... Oh well. I enjoy your post as always! Incredibly you make me think! And I have not whatever with. You see, I started a sentence with 'And', and wrote a pronoun followed by a preposition, and (oh, blasphemy) end the sentence with the last, in total contra-position with older linguists who wanted to preserve Latin rules. As a final comment, may ask you what am I doing speaking about Latin, linguists and all those irrelevant things? I love your post! This IS relevant! Stephen King fess up he could not write short stories because he keeps writing until it becomes a novel, I have the same problem, but unfortunately not the talent! Agree, funny language, English! Again agree, its all in the mind, not mine though, my friend's! Thank you Od liam! I am glad you can find meaning even in something as trivial as this post! ..and you ask me not to worry about Lexicon! Yes, the funniest things are usually not what we should be laughting at and the more we try to suppress the laughter the worse it seems to get. 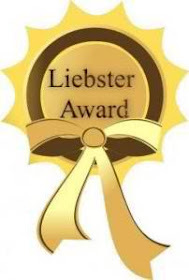 Thanks for visiting my blog Nina, I'm pleased to be your latest follower. Glad it made you laugh, Michelle. This reminds me of a cooking show, many years ago, in which every time the host said, "Fork" it sound like, well, you know. Perhaps it was because I had inhaled a little before watching it, but it had me rolling on the couch. My wife came into the room to see what was so funny. It wasn't long before she was joining me in the laughter. Great job! I've done that! Ugh! Not in church, thankfully, but I did giggle uncontrollably through a very dramatic, (I would think rather over-dramatic), performance of Romeo and Juliet at a Playhouse when I was younger. Tybalt died not two metres from my feet and a couple of his female friends/fellow performers expressed their inordinate grief in a particularly woe-laden scene that had me practically falling off my chair with mirth. I feel quite guilty about that now.. And there was the time I was actually on stage performing, (I'm pretty terrible at acting), and something struck my funny bone just as I began to deliver quite a long speech. When I eventually got the words out enough to close the scene, one of the other actors gave me quite a bitter little shove in the dark as the curtains closed. Deserved, I'm sure. LOL - I guess everybody has their days !